Two weeks into the second-half season, the Chinatrust Brothers have released RHP Zack Segovia. In order to fill the gap in the starting rotation, the Brothers will call up Elih Villanueva from the farm team. “It’s a tough decision to make, Segovia is a good teammates and great role model, unfortunately we have to let him go due to his performance,” said Brothers manager Cory Snyder. 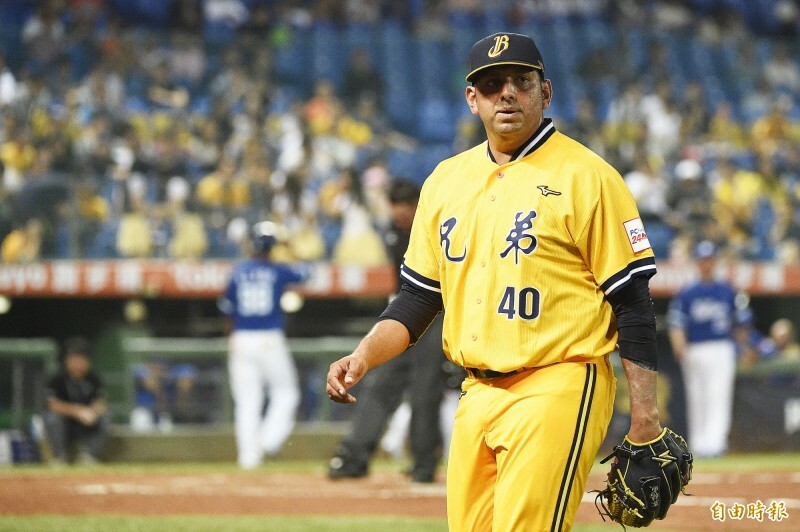 Segovia finished his 2018 CPBL season with a rather disappointing 7.13 ERA and 1.69 WHIP over 77 innings. From 2015 to 2018, he posted a combined record of 23 wins, 15 losses, 5.08 ERA and 1.42 WHIP with 318.2 innings under his belt. #CTBros release Zack Segovia. The RHP finished his 2018 #CPBL season with 7.13 ERA, 1.69 WHIP over 77 innings. According to the Brothers’ general manager, the team will call up RHP Elih Villanueva from the farm team in the next few days and Villanueva is expected to make his CPBL first team debut next week. “Villanueva has been pitching well in the minor league so far, with plenty of experiences in the MLB system, I’m sure he will be ready for the CPBL first team,” said Brothers’ skipper Cory Snyder. Elih Villanueva was signed by the Brothers at the end of March and started his 2018 CPBL season in the farm team as the fourth backup pitcher. Since then, he posted a 2.66 ERA and 1.07 WHIP, over 12 starts and 64.1 innings. Foreign players come and goes, therefore we have compiled a foreign players tracker to keep track of all the foreign players for the 2018 CPBL season. If Villanueva can keep his strikeouts up then he’ll be good, but he hasn’t been able to keep his strikeout rate up in other stops in his career. By the way, does anyone else write on this site? Just checking because I’m also a baseball writer. Definitely still a ground ball pitcher here in the CPBL minor league. But his June number is pretty good, really high strike rate. We have 4 people writing for this blog. Always looking for more contributor to the blog. As long it is sort of Taiwanese baseball related. I think I could write about some signing targets for the CPBL teams. I probably won’t be able to do so often as I am working on other projects as well (an article on Tetsuto Yamada) along with some stories (and learning more curse words in other languages). Sure, no problem. I will send you an email and we can discuss it.